Raul Castro is changing the way life works in Cuba, lentamente. 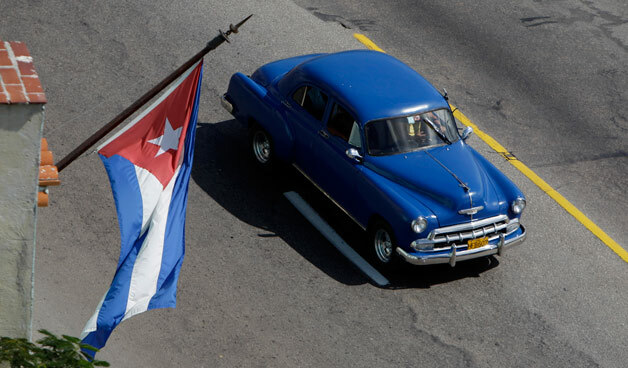 According to Reuters, the island ruler sent several hundred reforms to the annual Commuist party congress, and one of them just approved now allows Cubans to buy and sell cars made after 1959. Previously, only cars that predated the island's Communist revolution could be commercially traded by anyone not specifically given permission by the government. That gives the 11-million-strong populace access to other makes like the Lada, Nissan, Isuzu and Mercedes-Benz models that the well-connected have been able to drive in the intervening 52 years. However, even though the new law states that owners can act "without any prior authorization from any entity," it doesn't mean it's open season: there remain limits on things like importing and ownership of cars. Castro said the law will help ensure the survival of Cuban Communism.